Soichiro Honda founded Honda Motor in the city of Hamamatsu, Japan. He began to supply the Japanese market a simple and economical means of transport, which in this period because the country desperately needed. At the heart of its activities was a huge personal interest in internal combustion engines and the desire to work. With little left over from the war engines, Honda Motor Company started with the production of bicycles with a motor. Shortly after its introduction Honda Motor Company start to design and build their own engines and motorcycles. Already at that time it became obvious that the company will become a creative and innovative force in the automotive industry. Even then placing himself in the Japanese reputation for quality, good operational performance and reliability, Honda motorcycles still deserve respect and trust on a global scale. However, the situation changed in 1959, when Honda won international recognition after winning over many well-known European motorcycle manufacturers in the largest and most prestigious international competitions. At the same time the recognition of the trade mark Honda has become a symbol of high quality and exceptional performance. Sales of Honda motorcycles in the world immediately affects the reputation earned great difficulty and in a short time made a figure greater than the sale of any other European or American motorcycle manufacturers. In other words, Honda became the number one in the world! In an effort to expand its role in the auto industry by adhering to the fundamental philosophy, Honda has released the first car in 1960. The first cars were small, sports cars, as well as motorcycles, which the company released before that, won an excellent reputation for quality and performance. In 1966, Honda began production of small sedans and four years later became the first export their cars, Honda 600, in various countries around the world. 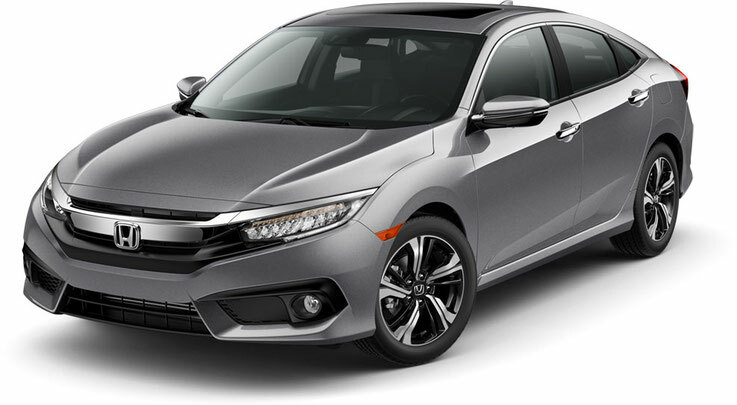 While these cars are paving the way for vehicles with the brand Honda engineers began to develop another compact car, designed for fuel-efficient cars of the world market. The result of years of development was the Honda Civic, presented to the public in 1973 and quickly adopted by buyers all over the world. Ever since Honda first began production of cars, the company continues to deliver to the world market a whole range of vehicles with low fuel consumption. At the heart of every car, created by Honda, the principle of the need to create an environmentally friendly car, saves energy and resources while meeting all customer needs. Since its inception, the company Honda Motor has developed at a phenomenal rate, and has become a leading company with a well-deserved reputation in the production of vehicles. This rise to the heights of international fame was made possible due to many factors, but one of the most obvious reasons is a holistic approach to the development of Honda technology. For the company Honda - technology (engineering) - that's all. This means that much more important to identify and anticipate the needs of customers and society - and even offer new technologies sootvetststvuyuschie these needs than to offer products created by existing technologies. Honda has been successful not only because of its inherent passion for the latest technologies and commitment to try to do something that no one else does, but also because Honda is a very energetic company, which is inherent in the spirit of healthy competition. And it includes a competition of individuals, as well as cooperation and joint efforts of the team. The success of the company's employees Honda is recognized worldwide. However, one of the awards should be allocated especially - the inclusion in the Automotive Hall of Fame in Minlande, Michigan. Mr. Honda, and this time was the pioneer - the first of the Japanese won this prestigious award. At the award ceremony October 10, 1989, Mr. Honda said, "It's like a fairy tale. I'm so happy to be able to add this new page in their lives. "